Goodoffer24.com, is the new marketplace for PC Games, Software and prepaid cards in the console that is stepping up offering safe and fast access to a wide variety of content related to video games at low prices. 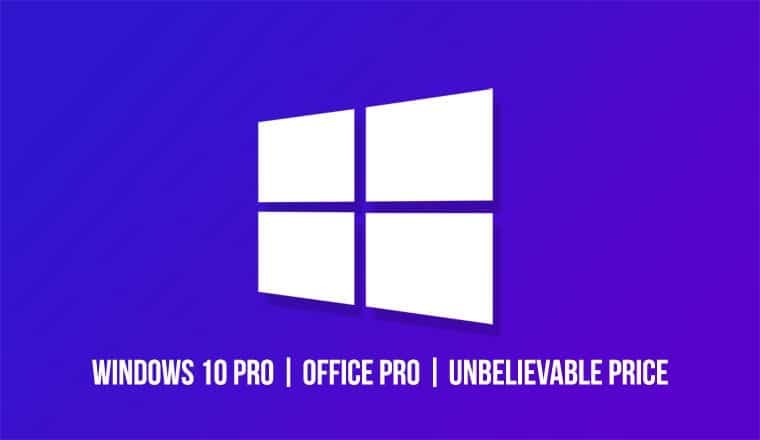 If you want to get Windows 10 Pro, Microsoft Office Pro, and other software for a very cheap and unbelievable price, GoodOffer24 offers amazing deals exclusively for the visitors of DroidViews. The only drawback: The original price of the Professional version is full of 200 Euro.s That does not have to be! At Goodoffer24.com you can get your Windows 10 License at a surprising price with the exclusive coupon below, limited offer! And you will find more discount on Office 2016 Pro. At Goodoffer24.com you can expect the best service. Shortly after ordering, you will receive your ordered item quite simply and quickly by e-mail. So, you do not have to wait for days for the message. And if it comes to problems or you just have a question, the customer service is there to help you with words and deeds. With the button “Add to cart” you add a product to your cart. In the shopping cart, simply click on “Apply coupon code” and enter the discount code “XLGORK15” there. If you then click Apply Discount, the discount will be deducted from the order value. If you click on the “To checkout” button, you only have to select the desired payment method, enter your data and confirm your order. After the payment, you will then receive the ordered product within a very short time by e-mail – isn’t it fast and uncomplicated? Now test how fast and easy the order at Goodoffer24.com goes by the hand. The exclusive coupon codes are available for a very short time and that’s why you need to hurry and avail the opportunity as soon as possible. You can send emails to [email protected] to get any kind of help. The professional customer team will help you quickly. What are you waiting for? These offers are only available for a limited time and are only valid while stocks last! So, go ahead and grab yourself one of their mad deals for this spring season right now before it’s too late!